In case you missed it, over 67,000 people braved sub-zero wind chills to be part of the excitement of Superbowl LII. A host of celebrities were also present to watch the game and to entertain the crowd, chief among them hometown legends and international music producers James “Jimmy Jam” Harris and Terry Lewis, who served as music ambassadors for the 10-day line-up of events. The duo appeared at Lewis’ alma mater North High School to thunderous applause from students, faculty, and visiting dignitaries, including Mayor Jacob Fry, State Senator Bobby Joe Champion, MPS Superintendent Ed Graff and, North High Principal Dr. Shawn Harris Berry. “North High students, this is why this is important,” said Berry. “Terry Lewis sat in the same seats you’re sitting in right now today. Jimmy Jam and Terry Lewis made music right here at North High School. Today, they are multi-millionaires, songwriters and producers. Over more than 30 years, Harris and Lewis have produced the musical likes of Usher, Janet Jackson, The Human People, Mya, Kendrick Lamar, Gwen Stefan, Mariah Carey, Elton John, George Michael, Rod Stewart, Mary J. Blidge, Beyonce and Lionel Richie. 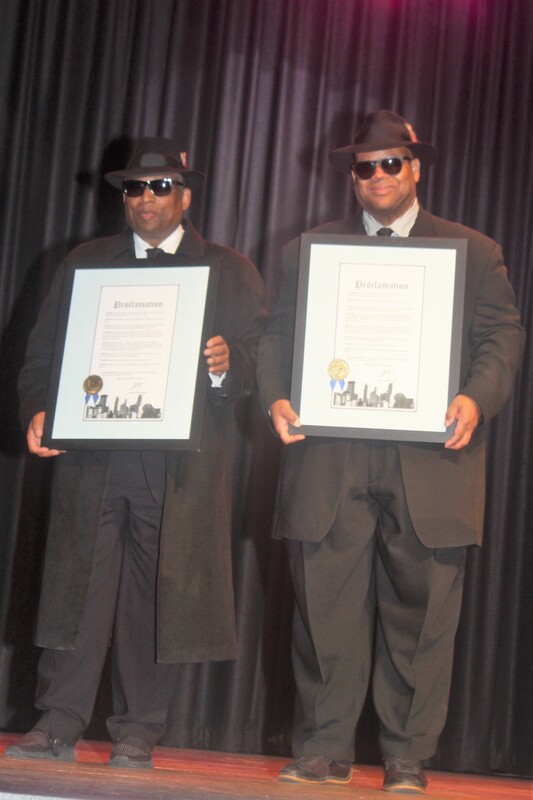 An elated Mayor Frey took the stage and proclaimed January 31, 2018 as Jimmy Jam and Terry Lewis Day. “If you’ve seen the influence that Jimmy Jam and Terry Lewis have [had]…the list goes on and on with their unique North Minneapolis sound to the world. “I know this has been a great work in progress with many years of history,” said Superintendent Ed Graff, giving North High credit for its academics and sports programs and the 83 percent rise in graduation rates. The North High dance team celebrated the occasion with a dance routine using Harris’ and Lewis’ works, including Rhythm Nation and Pleasure Principal. State Senator Bobby Joe Champion, a North High alumnus, spoke on the hometown pride. “They have done all the extraordinary things in terms of music, but Lewis also ran track for North and set all kinds of state records. These are two individuals I know as two good people. 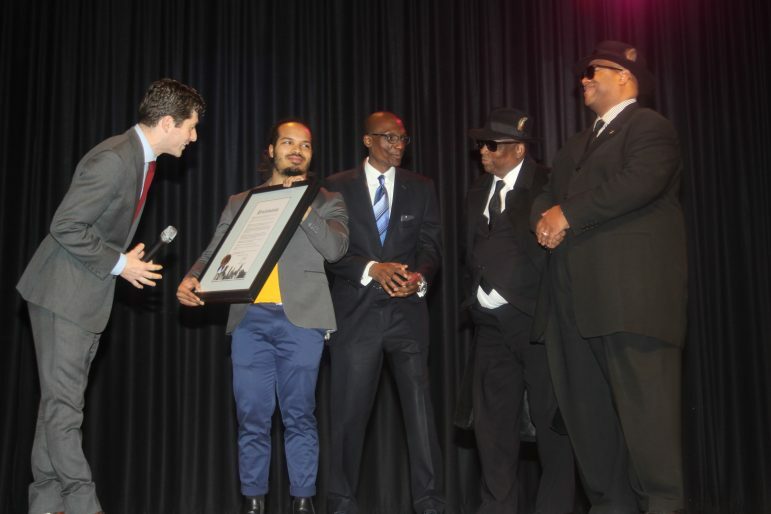 “[When] KMOJ needed help, they stepped up,” Champion said. “When North High School needed to make sure they [students] understand their history, they made sure Mahmud El Kati was in these doors. Harris stressed the importance of education and pursuing your passion. “Where we are standing from where you are sitting seems like the Grand Canyon, like it’s a really long way. We are proof that it’s not. It’s really about loving what you do and having the opportunity to do it. Lewis happily stated, “I used to run these halls, sit in these chairs, practice athletics just like you all. Make sure you continue to be active. Harris and Lewis held a Q&A session. Little did Harris know he would be reunited with a family member, North High junior Shequila Harris-Anderson, who asked Harris who taught him to play the keyboard. Harris replied he’d learned from his father, James “Cornbread” Harris. “My father is a keyboard player, so there were always keyboards around the house,” adding how he and Prince took music lessons at Bryant Junior High. Harris-Anderson followed with, “Your grandpa’s name is James…but that’s my great grandpa, and you’re my great uncle.” The audience applauded as she went up on the stage and gave Harris a welcoming hug.